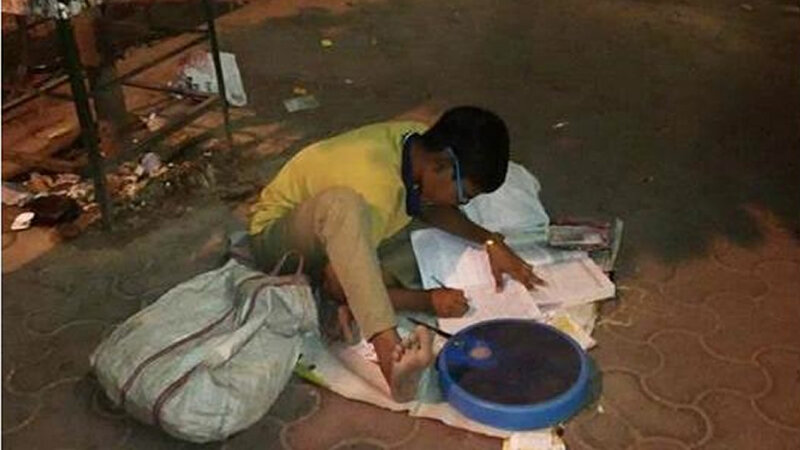 -- A picture of an Indian boy studying on the street has gone viral in the best way possible. Someone posted the photo on Facebook of a 13-year-old teenager sitting on the ground studying outside a train station not far from New Delhi. The photo got the attention of thousands including a local government head. This weekend that official presented the boy with a check for 500000 Indian Rupees, which is approximately $7,500 U.S. dollars to help with his education. The teenager was happy, but says he wants no other help and will continue to work hard and make things happen for himself.